Community Health Network, a large non-profit health system with locations throughout Indiana, agreed to pay over $20 million to settle Medicaid and Medicare fraud claims. The U.S. Department of Justice and the Indiana Medicaid Fraud Control Unit brought the case. According to a release from the Justice Department, Community Health contracted for out patient surgical services with independent ambulatory surgery centers. Although Community Health handled all the billing, the services were actually performed by the independent surgery centers and not by the hospitals. Surgical and other procedures performed at an actual hospital receive a higher Medicare reimbursement than those performed off-site. By billing the procedures as if they were done at the hospital, Community Health received more money than it should have. Since Medicaid and Medicare is funded with tax dollars, that means taxpayers were paying too much. It appears Community Health fixed the problem in 2009. 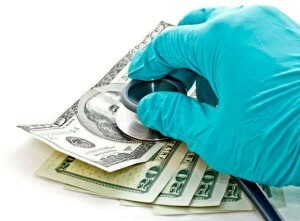 The Centers for Medicare and Medicaid Services had alerted all hospitals back in 2007 that such practices were illegal. In addition to the fine, Community Health Network also entered into a corporate integrity agreement. Despite the multimillion-dollar fine and corporate integrity agreement, the company was not required to admit to the allegations or admit any wrongdoing. State and federal officials used the Civil War era False Claims Act to bring its claims against Community Health. That law is America’s oldest whistleblower law and remains very much in use today. Under that statute, the government can collect triple damages as well as fines of $5000 to $11,000 for each false claim or bill submitted to Medicare. Medicare fraud remains a huge problem today. Some estimate the problem costs taxpayers $80 billion per year. Thankfully, the False Claims Act authorizes ordinary people that possess inside information about fraud to file a lawsuit in the name of the government and collect up to 30% of whatever the government collects. In cases such as Community Health where the government takes over the case, the average award is usually around 16%. In a case this size, that means a whistleblower award of $3,251,984! Interested in becoming a whistleblower? Our clients who have filed False Claims Act cases have received over $100 million from the government. The awards are real and the work done by whistleblowers saves taxpayers billions.